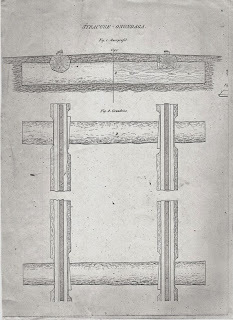 Sketch of wooden rail used. During the 1820s or before it was discovered the quality of limestone at what was eventually known as the Split Rock quarries about five miles west of Syracuse was very suitable for building material. 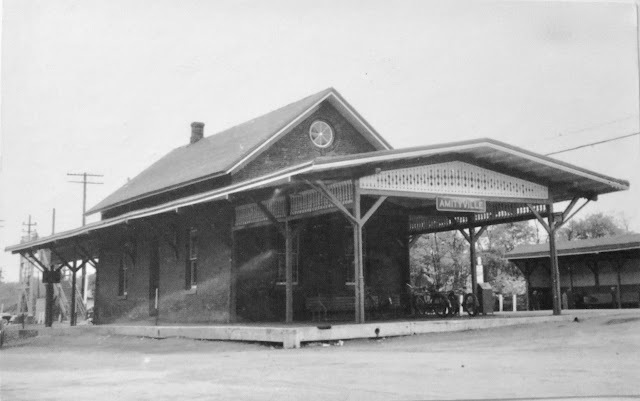 The site was situated in the town of Onondaga. Since the stone was near the surface it was easily accessible and did not require heavy excavation. The expense lay in the cost of haulage from the quarries to Syracuse. However, stone from these quarries had been used in the construction of the five locks between the Salina branch canal and Onondaga canal in 1823, the locks at Lodi, as well as for much of the front stone for the locks on the Oswego canal. After the railroad was built, the quarry furnished stone for the so-called "first enlargement" of the canal. 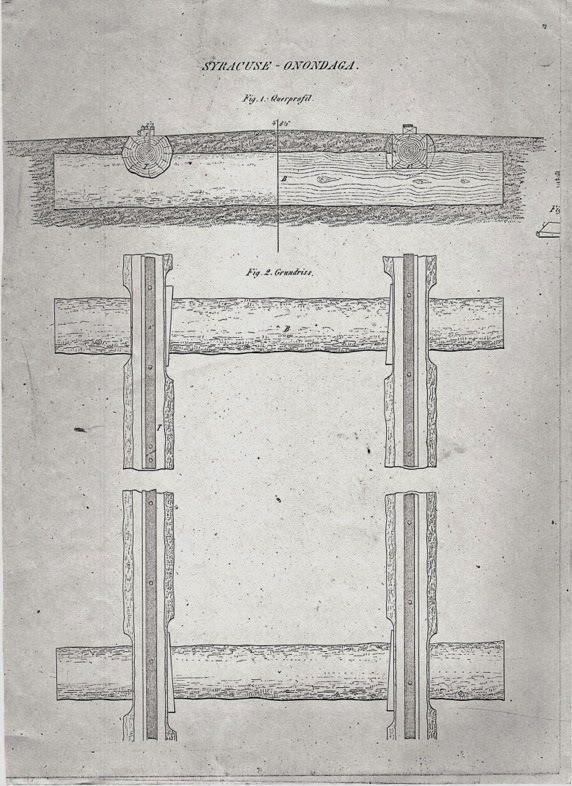 In a report to the New York State Canal Commissioners, dated March 5, 1836, John B. Jervis and Holmes Hutchinson, two noted civil engineers of the day, wrote that stone from the Onondaga quarries was of "close, firm texture," and many years' trial "as proved it to be equal to the best building material of this kind in New York State." Although the stone was somewhat expensive to cut, it possessed a toughness and durability that rendered it valuable for the construction of culverts, aqueducts and locks. Since the normal mode of wagon transportation was very costly, the report recommended the construction of a railroad from the quarries to the canal in Geddes to "materially lessen the cost of cartage." This would enable the state to procure a a supply of stone for public works projects at a reduced price "at nearly if not all seasons of the year."